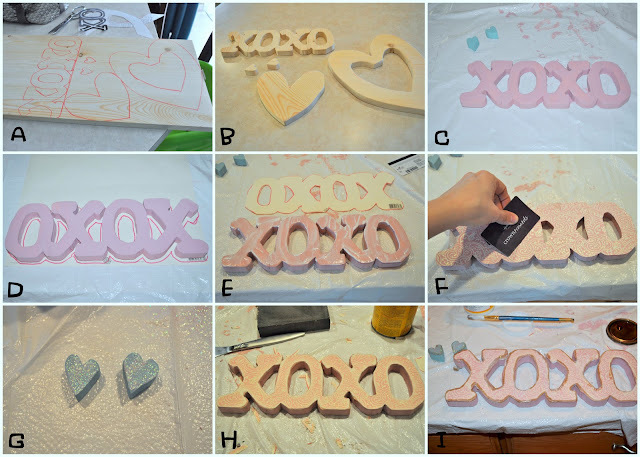 So, you want to make your own XOXO do you? Well here is what I did. oh, and ignore the other two hearts in the first two images, those are for another project. The last step is to add small eye hooks to the inside of the O's and the hearts and hang then with a link of chain. I hope you make one, it was a lot of fun!